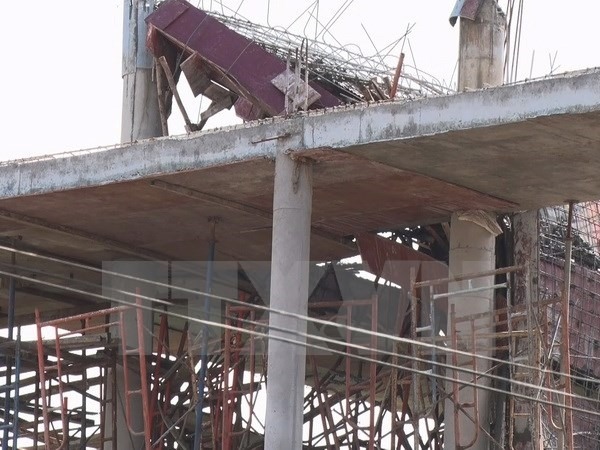 ĐỒNG NAI — Two men died after a 7-metre-high scaffolding collapsed at a construction site in Tân Phong Ward, in the southern city of Biên Hòa on Tuesday afternoon. The workers were reportedly standing on the scaffolding to move building materials up, when the accident occurred. They were unconscious and taken to Đồng Nai General Hospital, but died in the evening on the same day.